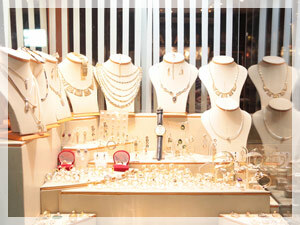 RDT retail system is designed to support the unique requirements of jewelry stores. The management of your inventory is essential on expense cost items like jewelry. We have designed on system with a workflow that tracks all movements of the product. The system is designed to have an endless number of inventory locations to track the movement of each item. The system maintains an audit trail of all inventory movements to maintain inventory integrity and accountability. The item master has several data fields that can be used to enter the unique information for each product. The item master could monitor serial numbers for each item in your inventory. WE have developed partnership with RFID vendors to accommodate the growth of this technology. The item master has multiple unit of measure which can be used during purchase order and sales transactions. RDT system has ability to hold items on reserve for customers and standard layaway functionality. The robust customer master file gives the retailer the ability to enter specific buying habits and preference. The system has an option to track repair, maintenance and warranty records for each purchase. The robust CRM application along with the loyalty program helps Jewelry retail partners keep in contact with their customers. The effective use of the CRM solution along with the forecast of inventory availability could dramatically increase inventory turns. An effective loyalty program could increase the frequency of your loyal customers based on aggressive rewards programs.